The Mill is thrilled to work with 72andSunny and director Warren Fu of Partizan LA to promote Milk Music. 'Put Your Spin On It' is stocked with some of the hottest names in music including Iggy Azalea, John Legend and Chromeo. Milk features a navigation dial through which music lovers can enjoy the music they know while also discovering new artists and genres. In the spot we see one Milk user's audio-journey as today's top artists appear in a larger-than-life version of the dial. When the user lands on a genre, a corresponding artist lights up and performs one of their current hits. 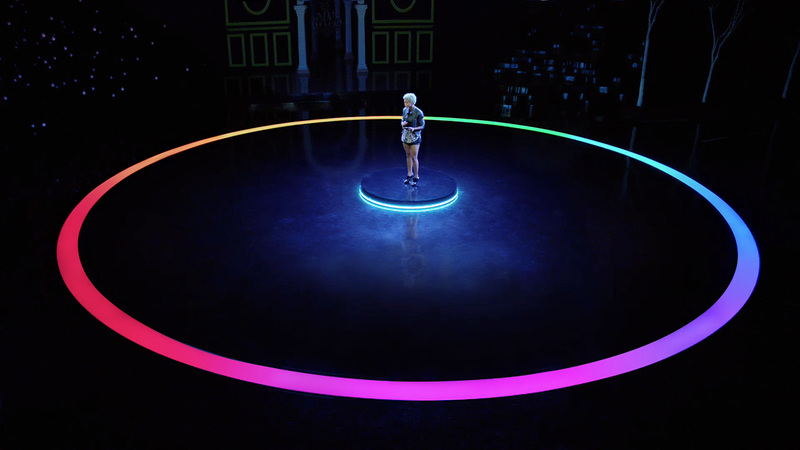 Led by senior flame artist Glyn Tebbutt, artists from The Mill enhanced the promo with seamless transitions and visuals to match the style of each performer. He explains: "The idea was to keep the set feeling real whilst bringing fluidity between the genres and having that movement be gesturally initiated by the user of the dial."